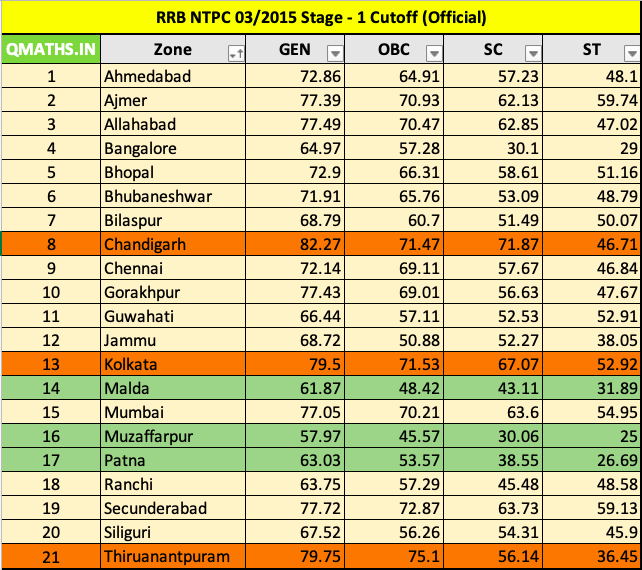 In this post, we are sharing Cut-off for RRB NTPC 2015 for all railway Boards. This post also includes the total number of candidates selected from every RRB Board and Some Statistics for RRB NTPC 2015. Number of Candidates Shortlisted by Various Zonal RRBs. Click Here for RRB NTPC Mains Exam Pattern and Syllabus.